This beer is brewed just right for drinking—crisp and refreshing. It’s got more flavor than other premium lagers, yet it’s one of the most drinkable beers in the world. 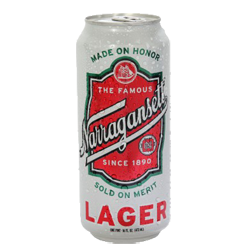 Narragansett has the highest rating of all domestic premium lagers on BeerAdvocate.com. "Beer Description" content and image are the property of Narragansett Beer Co. and are used for informational purposes only.